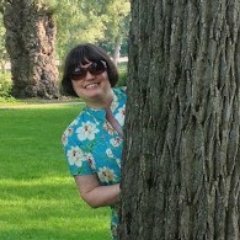 Following The Thread: Literary Sewing Circle, Second Round! Literary Sewing Circle, Second Round! It's time for our second group read for the Literary Sewing Circle! BEAUTIFUL old phonograph for sale. 78 record player. Excellent condition. Gladys doesn’t dance anymore. She needs the room to bake. Bring offer. Ph. 254-9885.27-year-old Frieda Zweig is at an impasse. Behind her is a string of failed relationships and half-forgotten ambitions of being a painter; in front of her lies the dreary task of finding a real job and figuring out what “normal” people do with their lives. Then, a classified ad in the local paper introduces Frieda to Gladys, an elderly woman who long ago gave up on her dreams of being a dancer. The catch? Gladys is a ghost. I read this book a few years ago, and really loved it. It won the 2013 Leacock Award for Humour, a Canadian writing award -- while this book isn't slapstick, it does have a sense of fun and not taking itself too seriously despite the serious issues which Stocks discusses. This book is also currently on the longlist for CanadaReads, a week long CBC radio book program which Canadians look forward to each year. I reviewed this book on my book blog back when I first read it, and was also lucky enough to have the author provide a guest post at that time. She wrote about everyday creativity, in a way that is recognizable to many sewists and crafters. I encourage you to go read it to get a sense of Stocks' approach to art and creativity in her fiction. Cassie Stocks was born in Edmonton, Alberta. She’s been a biker chick, a university student, an actress, and a rich man’s gardener; she’s worked as a waitress, an office clerk, an aircraft cleaner, has raised chickens, and has even been the caretaker of a hydroponic pot factory. 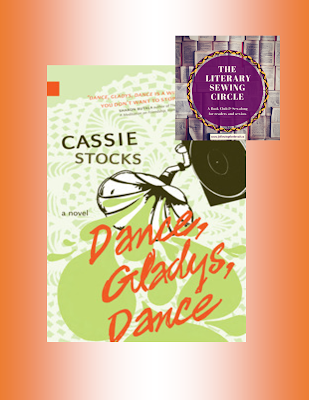 In 2013, Cassie became the first woman in 17 years to be awarded the Leacock Medal for humour writing for her first novel Dance, Gladys, Dance. 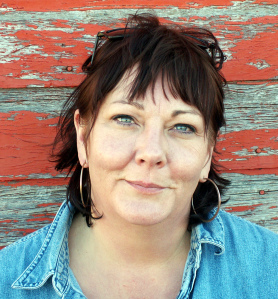 The novel was also nominated for a Saskatchewan First Book Award. Cassie has been named one of “Ten Writers to Watch” by CBC Books. Cassie lives in Eston, SK, with her son Julian. This book is available for purchase in both hard copy and ebook formats. Or, of course, your local library! How does the Literary Sewing Circle work? We read a book together, discuss it, and then make something inspired by our reading. As long as you can point out what inspired you from your reading, even if just a sentence, you can share your makes in our final roundup! 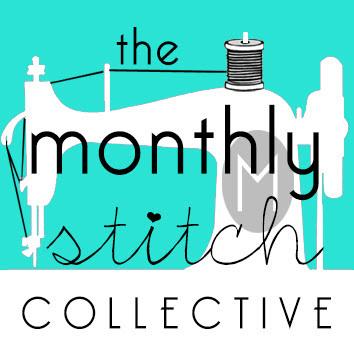 Anyone can join, and you can sew, knit or embroider - anything that you like doing - to participate. This is a reading/sewing circle, very low-key; no prizes or competitions here, just reading and sewing for fun. Join in, and share! This time around we'll discuss the book any time you wish; put your questions and comments in the comment field on any LSC post (try to avoid spoilers until closer to the end though). We'll have an official discussion post to really dig into things but feel free to talk about your reading at any time! This sounds an interesting book. It has been really hard to access in Australia, not in library or even e-books or online. Postage from Amazon prohibitive. - Finally able to purchase a copy second hand from Abe Books. Hope I receive it before the half way mark! But will enjoy reading others comments and author interview in the meantime. I'm sorry Sara, I didn't think it would be so hard to find in Australia. With the online availability here I didn't check other locations, I'm sorry! Thanks for searching it out with all that work! Oh my gosh! I stumbled on to this site by accident. Downloaded the book from the library and I love it! Love it. So much inspiration here. Thanks for recommending this book. There is a quote in the book that I had painted on a coffee cup a couple of weeks ago. It was serendipity!!! I was delighted to read this comment, Marie! So glad you've discovered this book and are enjoying it. How wonderful to find the same quote that had spoken to you earlier. I would love to join this group of readers and crafters Melanie! I sew and crochet as well as quilt. But I haven't done any of my crafts before. So, please let me know how to join. Please email me if possible??? I am at sunnyiroth@gmail.com.